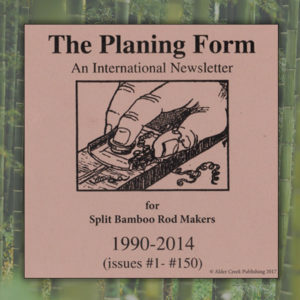 In this, Kathy Scott’s fourth book, her daily journal entries merge into a deep interconnected root system that supports life of all kinds: Fishermen of all ages, bamboo rod makers, writers, guides, teachers, artists, and even a happily oblivious gold dredger. Young people standing in a river for the first time, feeling the energy of a bigger world. 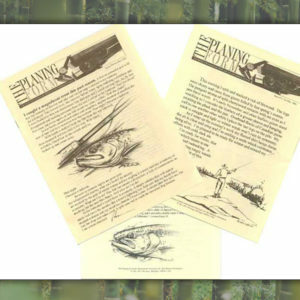 They all are woven through the pages of Brook Trout Forest. 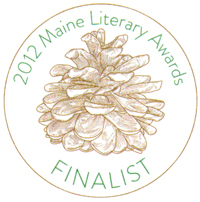 Come sit with Kathy on her back porch in the Maine woods. The view from there is exquisite; you’d swear you can see all the way to the Arctic Circle. Smell balsam and spruce and watch Kathy, alone, on a lichen speckled rock in a raging Labrador river. 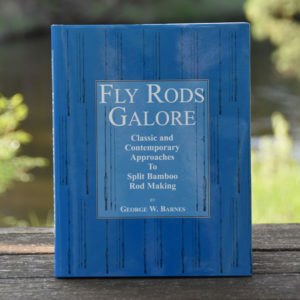 Look west and you can see a Midwest farm pond and a feisty bluegill sipping your hand tied fly. This is the stuff of Kathy’s books; the ‘gentle passions’ which form the protective canopy of her Brook Trout Forest. 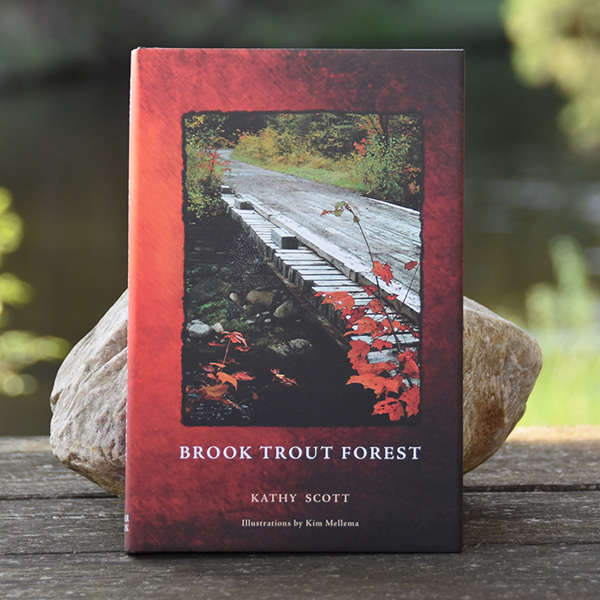 “In Brook Trout Forest Kathy shares the joys and endearments of living simply and embracing a sense of place-commonalities among fly fishers everywhere.